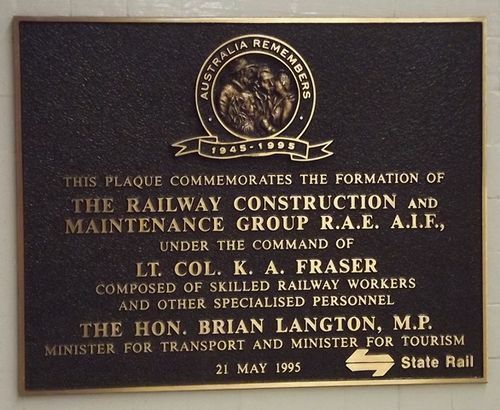 The plaque commemorates the Railway Construction and Maintenance Group of the Royal Australian Engineers who served in World War Two. The Hon. Brian Langton, M.P. Minister for Transport and Minister For Tourism.